I openly admit, I do not fully grasp the weight of the World Wars, peacekeeping missions, current war, Remembrance Day, military killed in action, military returning home after war, and so on. 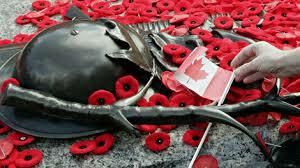 When I was young, Remembrance Day assemblies at school varied in impact over the elementary and high school years. I do remember that all through elementary school veterans were invited to, and attended, our assemblies and I often spent much of the assembly watching them sitting through it wondering about their past. In high school, I remember at least one high school assembly being held outside. All 1300 students stood in the parking lot while the Last Post was played, our minute of silence was noted, the service clubs lay the wreaths at the base of the flagpole. 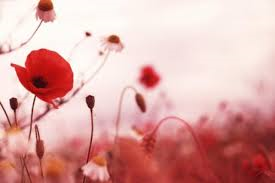 As a teacher talking to Grade 3, 4, and 5 students over the years, I’ve had an even more difficult time trying to impart the importance of Remembrance Day. 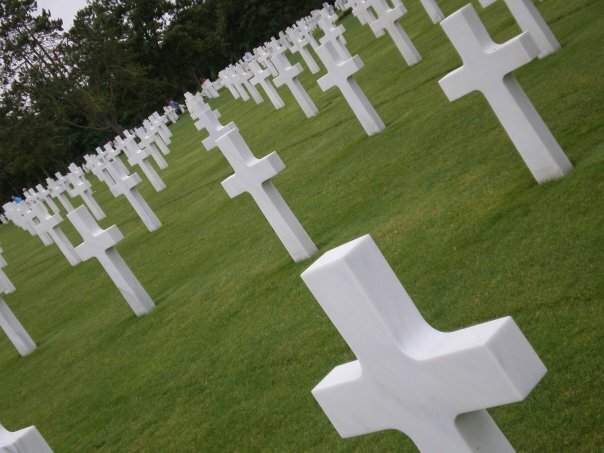 The original meaning of it all is SO far removed from myself who had two grandparents in the war that never spoke of it, let alone the next generation whose great-grandparent MAY still be alive that may have been in a World War. Then again, especially in such a multi-cultural city such as Calgary, many of my students over the years are well aware of the fact that they left their home countries that are currently in a state of unrest or full-out war to come to Canada. They “get it” a lot more than we may realize or ever understand it ourselves. I’ve now been part of creating a few Remembrance Day assemblies, attending them as an adult/teacher, and witnessing my students experience them. This year was especially moving. Part of the assembly was to re-enact the story of Sadako and the Thousand Paper Cranes by Eleanor Coerr. In short, its about Sadako, a 12 year old Japanese girl that loves to run. She was two years old when the atom bomb was dropped on Hiroshima. Ten years later, she becomes sick with leukemia and aspires to fold 1 000 paper cranes in order to receive a wish, as is stated in an ancient Japanese legend. The story tells us she only made it to 644 cranes before she died of the “atom bomb disease.” Her classmates were inspired to finish the 1 000 cranes and there is now a memorial statue in her honour with the inscription, “This is our cry. This is our prayer. Peace in the world.” as a symbol of innocent victims of war. In my Grade 3 class this year, we read Eleanor Coerr’s telling of the story, talked about Sadako and her family, war in general, how it impacts our lives today, and how we can live our lives to honour all those who sacrificed theirs. Whether or not these kids truly internalized these conversations, stories of war, and the depth of what was represented at the assembly, SOMETHING got through to them about the importance of attending it respectfully. Just prior to the assembly we had a quick review of appropriate behaviour. From there, I was entirely inspired by these eight year olds and the other five hundred students from Kindergarten to Grade 6. They lined up in the classroom without a peep and stood waiting for me to get ready more still than I’d seen all year. From the classroom, down the hall, sitting on the floor in the gym, waiting for all other classes, teachers, parents, presenters to settle – not one word. We stood, sang O Canada, and sat without incident (rare that not even one student needs a gentle reminder). The choir and Grade 4 students that presented the assembly sang, read poems, explained the history of Remembrance Day, and played recorder beautifully and reverently. A thoughtful re-enactment of Hiroshima ensued and two giant boards of 1 000 folded paper cranes were unveiled under black lights and our very own ‘Sadako’ held her golden crane perfectly still during the Last Post, minute of silence, and Reveille. At the conclusion of the assembly, every single of our 500+ students exited the gym and all the way back to their respective classrooms without uttering one single sound. That is impact. At whatever level they are able to understand it, these children recognized that reverence, quiet, and thoughtfulness was required for the occasion. My cynicism about the state of the world we live in, the future generations to come, the importance we place on education, history, and the general health of our society has grown exponentially in the last few years. Fortunately, there are moments like these that lend me hope for the future. It reminds me how crucially important it is for us to continue to educate children at school, home, and in the community about the importance of our history. We can’t let days, occasions, events, get swept under the rug because they are long past. We can’t cringe at holding conversations about what may seem too “scary” or “grown up” for young children. We can’t allow the ever-increasing distance of time between the World Wars and the present dissuade us from remembering it as often as we possibly can. We need to show gratitude and understanding for their sacrifice by living our lives better. By seeking out every little iota of good in people, nature, events, and moments in our lives and others’. This last week has been a huge reminder that I must do this. I say this world makes me sad – if that’s the case, I am the first one that needs to take action to change it. In the smallest and simplest ways every single day. Thank you, to everyone that has contributed to making this world a better place. Thank you, Kimberly; as always, thoughtful. We were moved by the aged veterans and over 700 young cadets who paraded at the Richmond cenotaph today, and the young men and women who have served/are serving in the wars of the late 20th & 21st century. Their and their families’ wounds are still very fresh – war is not a distant memory for them.